Tulsi Ramanujam spent her summer interning at Eberspaecher Climate Control Systems in Esslingen, Germany. 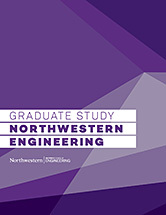 Full-time students in the Master of Engineering Management (MEM) program at Northwestern University have the opportunity (but are not required) to take part in a summer internship that allows them to practice the lessons they learned in the classroom in a real-world setting. With the summer over and the start of the fall quarter upon us, the MEM program checked in with some of these students to hear about what they did at their internship and how they hope the lessons they learned help them after graduation. Eberspaecher Climate Control Systems in Esslingen, Germany. They are an automotive supplier of air-conditioning and heating units. My unique project was to study emerging markets (the region consisted of eight countries) to open a discussion and give a recommendation on the business opportunities present in that region for the distribution of their spare parts. What are two things you learned during the internship? When you are looking at entering a new market, you have to understand the customer needs in the region as it changes all the time. The culture of the people is as important to understand as the trade regulations and competitor analysis. I learned to interact and work with people despite language barriers. German work culture is different from the American work culture, which is in turn different from the Indian work culture that I am used to. How did your internship compare to what you want to do professionally after Northwestern? This was the first work experience I've had in strategy and business development, which is the vertical I want to go into professionally. It helped me jump from a technical role to a more business oriented role, which is usually difficult to do without the experience. How important do you think this type of internship opportunity is for you and your MEM classmates as you look to differentiate yourselves in the job market? A global experience is valuable for plenty of reasons. It helps you improve your communication skills so that you can be well understood regardless of which country or office you are working out of. The cultures differ so widely between two countries, and that helps you be more disciplined about punctuality, meeting deadlines, planning your work and managing people. Given that MEM is a bridge between engineering and business, I think it is important to focus on how to transition into a business role within an engineering industry. What was it about the MEM program that originally appealed to you? MEM allows you to pursue courses in operations, data analytics and other engineering disciplines while still learning about finance, marketing, strategy and leadership. It is a good mix of technical and business, which will help engineers transition into more administrative roles. How do you think MEM has prepared you for life after Northwestern? It has taught me how to network and use contacts to navigate through industries and job opportunities. MEM has set me up to take on roles that oversee large operations and large groups of people. The program gives an engineer tools so that they can collaborate with other departments in a work setting. If there is anything that other MEM students should take away from this, it is that you must use all the resources you have without hesitation. I got this opportunity at Eberspaecher because I requested to sit in on a Kellogg class called Global Lab. Students were split into groups and given cases for companies all over the world. In this class, they presented their final recommendations. One of the groups worked on a project for Eberspaecher. Having worked in the automotive industry before, it seemed interesting to me and I asked the professor of this class to share the contact with me. This was followed by two phone interviews and an exchange of emails with the HR of the company regarding visa details.